Holy Places TV takes you on another journey to the city of Acre. 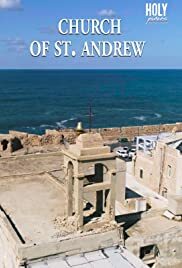 We will explore the Church of St. Andrew, located in the old town. Now known as Akko, this centuries old city has seen the rise and fall of many civilizations. Its stones saw the passing of the Bronze Age, the coming and going of the Roman Empire, the Byzantine Empire, Arab conquests, the Crusaders, even Napoleon Bonaparte.